As director of security on The Jerry Springer Show for thirteen years, Steve Wilkos learned a lot about what it takes to make a successful talk show. Since 2007 Steve Wilkos has been the host of his own successful, self-titled talk show. Born in Chicago, Steve, his wife Rachelle and their two children now reside in Darien, Connecticut. 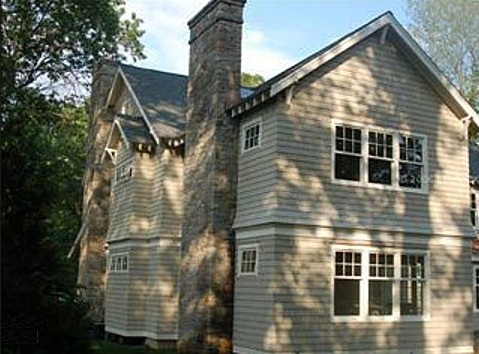 Wilkos paid $1.8 million for his two-story, 5,362 square-foot Darien home in June 2009. The home was constructed in 2008 and includes five bedrooms, five full bathrooms and a half. Steve Wilkos' house in Darien, CT. Wilkos purchased the home in June of 2009 for $1.8 million. Steve and family moved to Connecticut from the Chicago area as a result of the change in filming locations of The Steve Wilkos Show. The show had been filmed in the NBC Tower in Chicago since its launch on September 10, 2007 but filming was moved to the Stamford Media Center in Stamford, Connecticut where its third season premiered on September 14, 2009. Take a tour of the home with this Youtube video and see what it looked like before it was purchased.